His first name is Mister and his last name is Glass. A movie that has been nineteen years in the making. 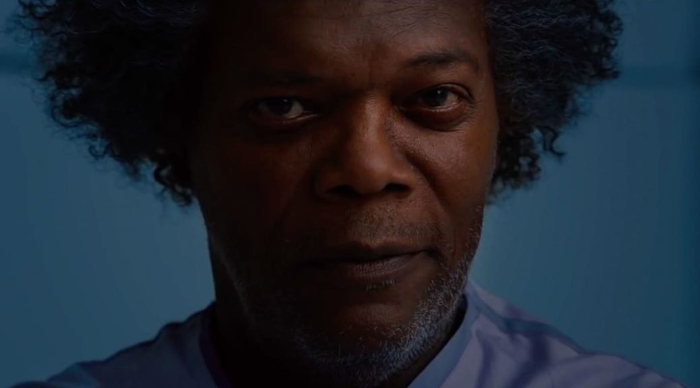 We’re talking about the new movie from M. Night Shyamalan, Glass. Glass serves as the finale to both Unbreakable and Split. We are joined by Thomas Olson from Superhero Moviecast. The fun doesn’t stop there, this is a crossover. Be sure to check out the counterpart episode, where we are discussing the trilogy as a whole. Nineteen years ago, M. Night Shyamalan followed-up his Academy award nominated, The Sixth Sense, with a different breed of superhero movie. He welcomed in the new millennium with Unbreakable. The film set up the story of David Dunn, played by Bruce Willis, and the villainous Elijah Price, played by Samuel L. Jackson. While only two years ago, we were given a pseudo-sequel in Split. Split focused on Kevin Crumb, played by James McAvoy, who suffers from D.I.D. Glass brings together both stories of Dunn and Crumb under the same roof. Daring to tell the story of heroes and villains from two previous entries now under the same cinematic roof. While Glass certainly does offer up a good number of talking points, there is something within the film’s third act that caught our attention. Following the events of Unbreakable, Elijah Price is set to Raven Hill. Where he has spent the last 19 year and within this climax there is a quite moment between Elijah and his mother. He turns to her and talks about how he wasn’t a mistake. To which she responds, no you weren’t you were extraordinary. That’s exactly what you are. Yes, the “you” reading this right now. Every breath you take is extraordinary. You are special and wonderful and lovely. Music by Logan McElroy and Shawn Davis. The X-Files are property of Fox. We do not own nor claim any rights. The Flash, Aquaman & Man of Steel are property of Warner Brothers & DC Comics. We do not own nor claim any rights. Networked by That's Entertainment! Super Smash Bros is property of Nintendo. We do not own nor claim any rights. Glass is property of Universal. We do not own nor claim any rights. Promo, within this episode, is by Invasion of the Remake.